Rosahl low-energy dehumidifiers use a solid polymer electrolyte membrane (SPE) to lower lifetime costs of dehumidifying steady state enclosures. 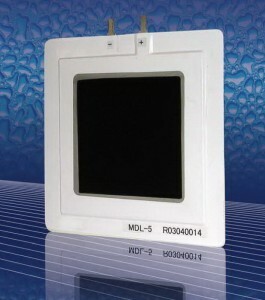 They are suitable for enclosures from less than one litre to 4m³. Steady state enclosures are those sealed to minimise to ingress of moisture. 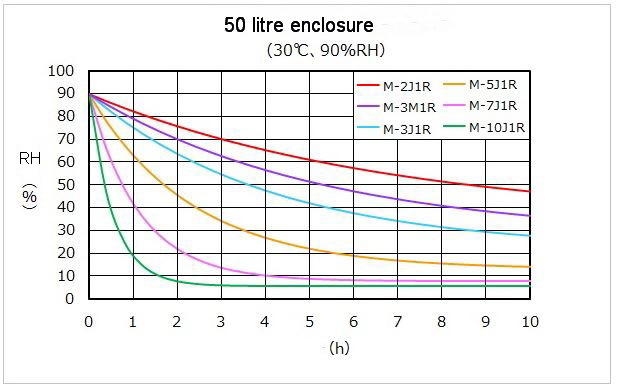 The table shows typical drying curves for a 50 litre container using a range of membranes. On the other hand, a larger container will take longer to dry. Rosahl membranes use no moving parts so the process is silent and free from noise and vibration. The smallest membranes are the size of a thumbnail. 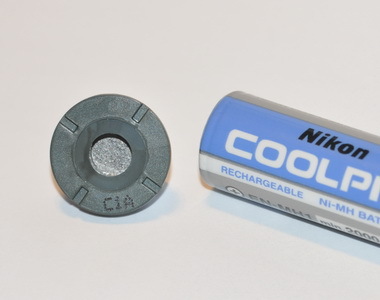 To operate they require only a 3 Volt DC supply and very little power so the average annual running costs are very low. In addition to the low running costs. Consequently, the membranes have a long operating life for lower lifetime costs giving the user lower ownership costs of ownership (TCO). Due to their compact size and maintenance free operation. Firstly, they are ideal for reducing lower lifetime costs. Secondly they are suitable for use in remote applications, In addition, they can be used for equipment where regular servicing is difficult or impossible applications. Finally, the absence of maintenance also offers significant cost savings for the end user. Rosahl dehumidifiers have no moving parts so, meaning is no noise or vibration when operating.